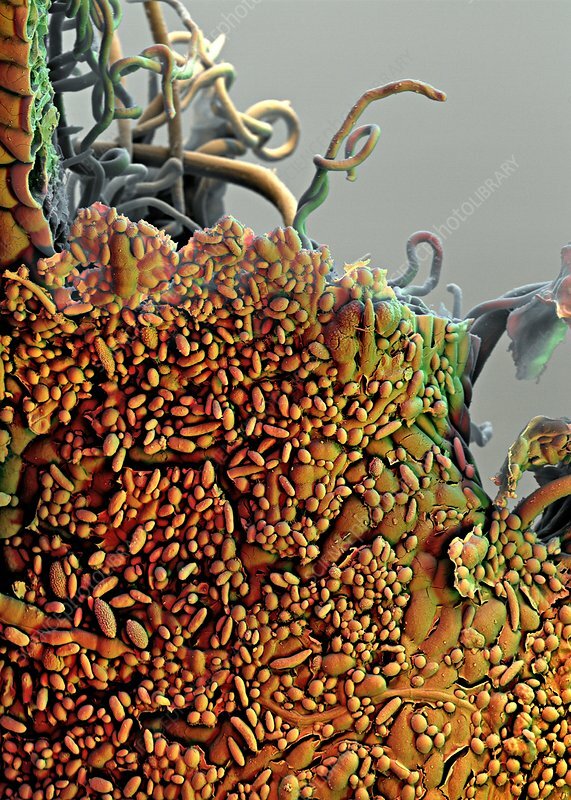 Raspberry (Rubus idaeus) leaf, coloured scanning electron micrograph (SEM). This side of the leaf has less of the trichomes (seen in background) that form the hairy underside. Trichomes are specialised structures that may perform several functions, such as preventing water loss or deterring animals from eating the plant.